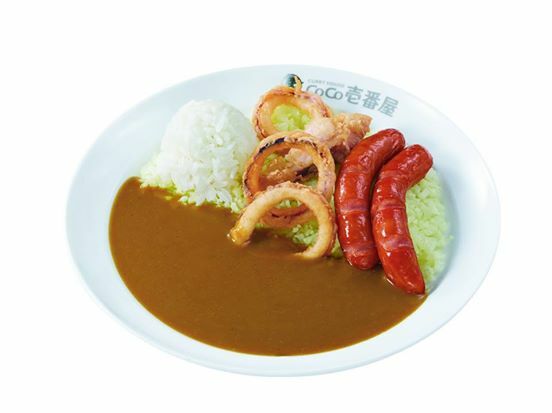 Coco Ichi, also known as Coco Ichibanya, is Japan’s most popular chain of curry restaurants, and with good reason. Delicious and inexpensive, Coco Ichi’s curry rice has been the culinary savior of people with empty stomachs and almost empty wallets for decades. But while just about everyone loves Coco Ichi’s curry, some modern diners aren’t quite as crazy about the carb-laden foundation the roux is poured on. 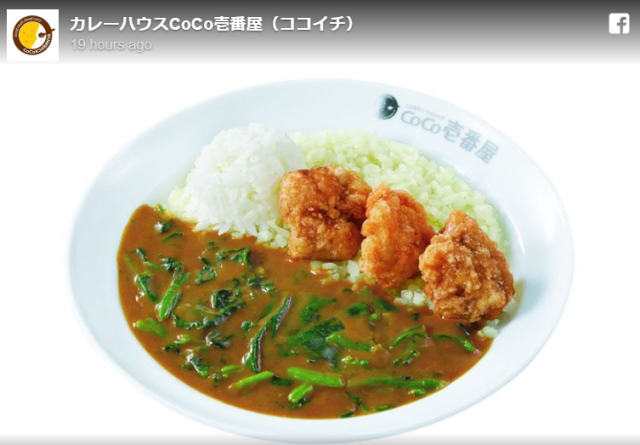 So for them, the chain is rolling out a new line of menu items it’s calling Coco de Off Curry, which uses almost no rice at all. "But wait,” you might be saying. “There’s totally a bunch of rice on that plate!” Actually, though, there’s only 30 grams of rice, 80 percent less than you’ll find in a normal plate of Coco Ichi curry. Look closely and you’ll see that while there’s a mound of white rice on the left, the rest of the granular plate covering is a little more beige in color, and that’s because it’s diced cauliflower instead. Instead of the standard 150 grams of rice, Coco de Off Curry gets you 120 grams of cauliflower and 30 grams of rice, dramatically cutting down the dish’s carb footprint. 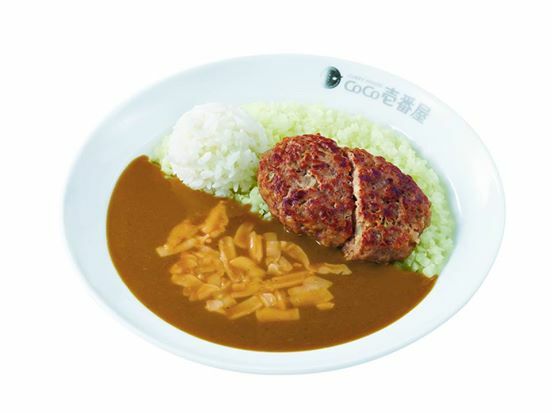 Available nationwide nationwide starting December 1 and priced at 690 yen in Tokyo, Kanagawa, Chiba, Saitama, and Osaka (670 yen elsewhere in Japan), the low-carb curry configurations are part of Coco Ichi’s continuing effort to accommodate as many palates as possible, and follow the chain’s introduction of vegan and halal curries. However, while low-carb meals ostensibly appeal to those who are dieting or otherwise concerned with their nutritional intakes, it might be going a little far to label Coco de Off Curry as super-healthy. Initially, three topping combinations are being offered: spinach and fried chicken, mini hamburger steak and cheese (both pictured above), and squid and sausage (below). I thought Japanese curry was good, then I tried Indian curry at an Indian restaurant and since then I go for the Indian curry almost every time. That Indian basmachi rice is better than Japanese rice too. But they charge you for each level of spiciness and too much for extra rice. I find it a ripoff but I do go occasionally with coworkers. I for one, never get Japanese curry in a restaurant, partially because of what "afanofjapan" says, but mostly because Japanese curry is a classic example of unhealthy and processed foods. HOWEVER, in contradiction, the only time I'll make and exception, is when someone I'm with wants to go to CocoIchi, and that's because they let me decide so many things: toppings, spice, sweetness, etc. Most of the sugar is still in the sauce they call curry. The picture looks like it is following China/India mixed except that every food is on same plate. According to recent research on MSG, explained very deeply on Koreaherald news site, people shouldn't be worried about MSG anymore, it is on Good Health Diet. But it will take long years for people to think of it in reverse way. Love their curry. Usually get the half-sized curry with the free drink. Just right and is only about 460 yen. Never understood why coco is so popular with tourists. Never understood why coco is so popular with tourists. Its the same taste you get from the roux packs you get in supermarkets, and its a dish that even the most inept cook can prepare themselves for 1/10 the price. How many tourists come to Japan, and cook for themselves rather than eating out?! On top of that, I know that before I came to Japan, I had never had Japanese curry, and would not have had any clue whatsoever how to cook it, or that you could do it for 1/10 the price yourself. So I certainly wouldn't have been cooking it at home, rather than eating it out. Incidentally, the first time I had it, I absolutely loved it. I'm mostly impartial these days, but I sure thought it was amazing that first time. Never understood why coco is so popular with tourists. Its the same taste you get from the roux packs you get in supermarkets, and its a dish that even the most inept cook can prepare themselves for 1/10 the price. Toppings always look so bland and unimaginative (not to mention unhealthy as indicated in the article). Much more fun to prepare it yourself with a bunch of veggies (whatever is in season), big chunks of meat and simmered until everything is melt in your mouth soft. Cauliflower rice is a thing in the West now, so this is just copying. You can buy it in big supermarkets in the UK. On the Sora News "isn't Japan ZANY?" o-meter, I give this story three out of ten. The three is because I like the way they pair it with the same old (unhealthy) CocoIchiban toppings. Karaage straight out of the freezer into the fryer. Top quality work. Maybe the key to this strange move is where the cauliflower is grown.